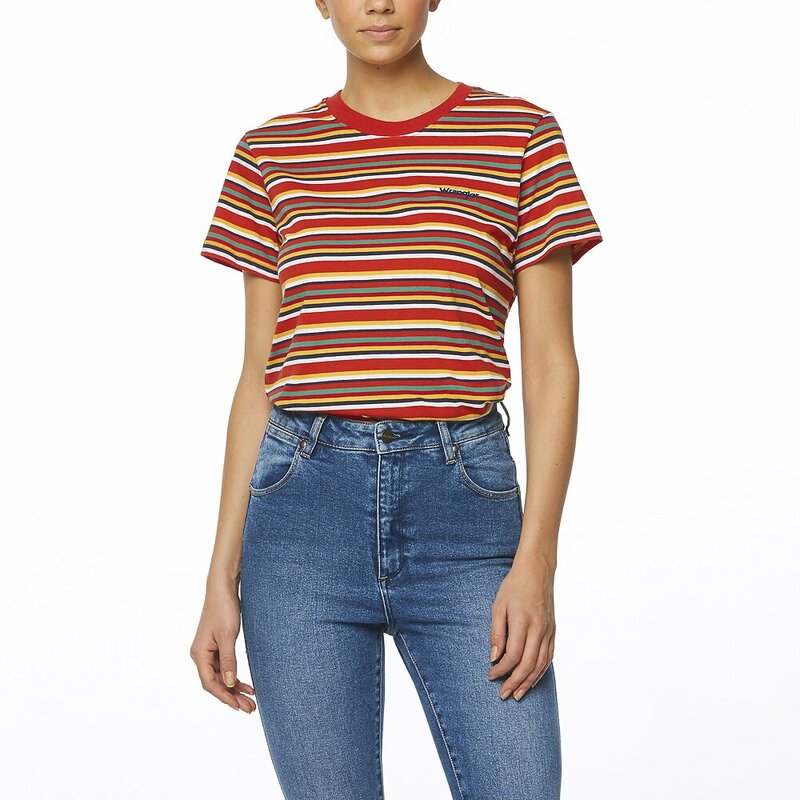 The Patti Tee is reminiscent of a multi coloured stripe tee worn by Patti Smith, circa 1976. 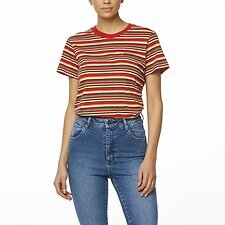 It's a slightly relaxed fit, perfect for tucking in to your fave high waisted styles or wearing under overalls. It's made from a soft 100% cotton that features a custom yarn dyed stripe, finished with a Wrangler flocked logo on chest and contrast neck binding.